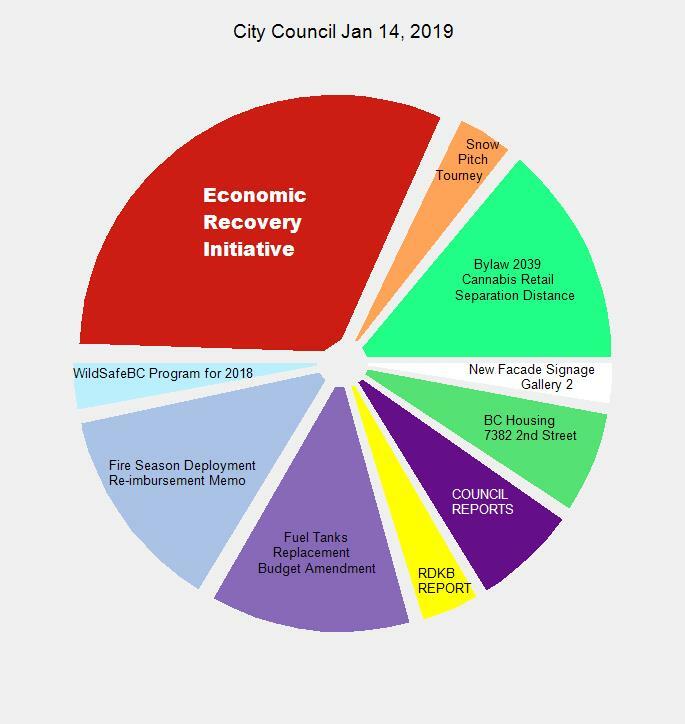 Council had their first public meetings of 2019 on Jan 14. The day began with a Committee Of The Whole and ended with a Regular meeting. Both meetings had a pretty full gallery. In the Committee Of The Whole meeting council heard from two delegations: Forest Managers from Vaagen and Interfor gave a presentation on “Forestry and Flooding”, the manager of the new Warming centre appeared to inform council on how it operates, what it provides and who the staff and clients are. They also heard a proposal from a developer who wants to put a small / tiny house development at the north end of Boundary. 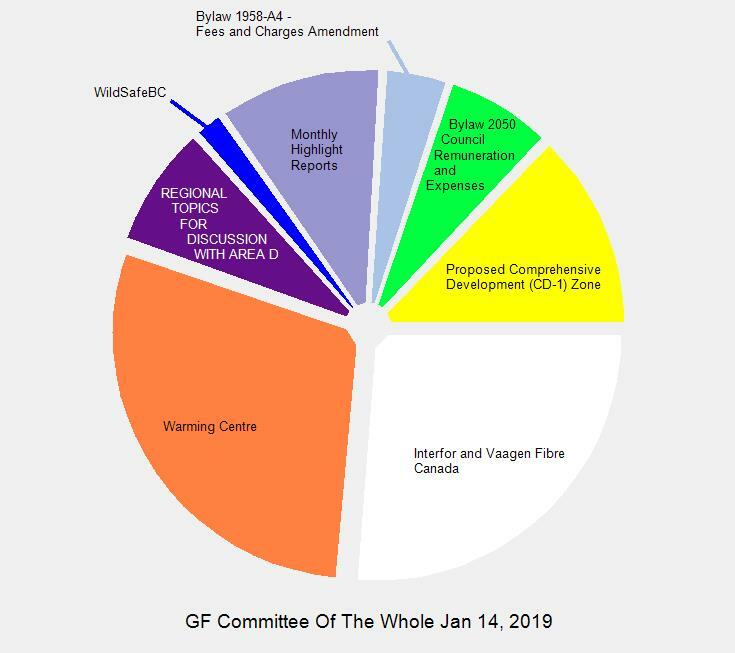 This entry was posted in City, government and tagged centre, council, facade, forestry, gallery 2, tiny house, warming on January 18, 2019 by gftvboss. 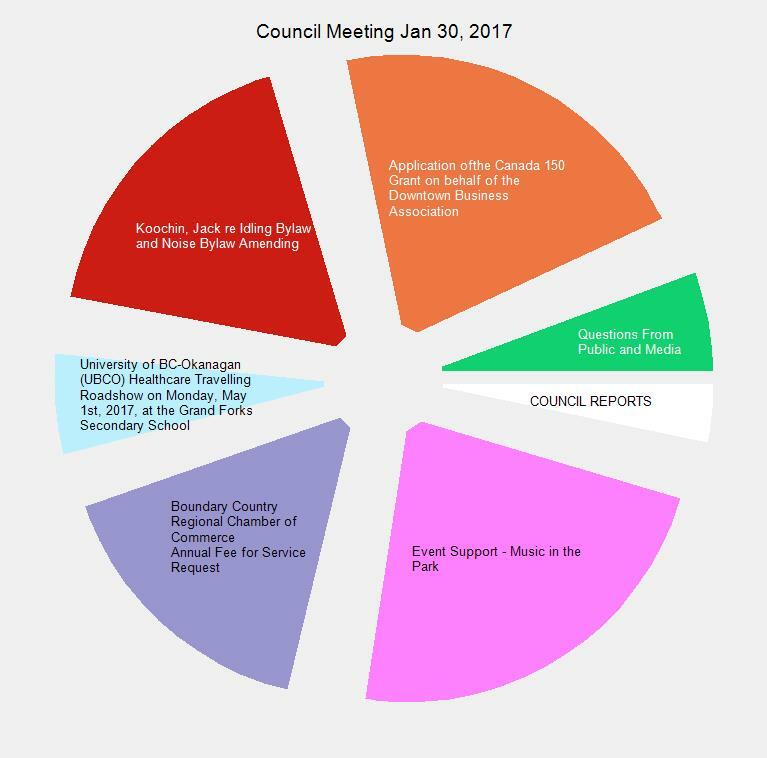 You can download the agenda from the button on the right or watch the meeting from the links above or the pie slices below. At 36 minutes the Regular, evening, meeting did not run as long as the morning meeting. 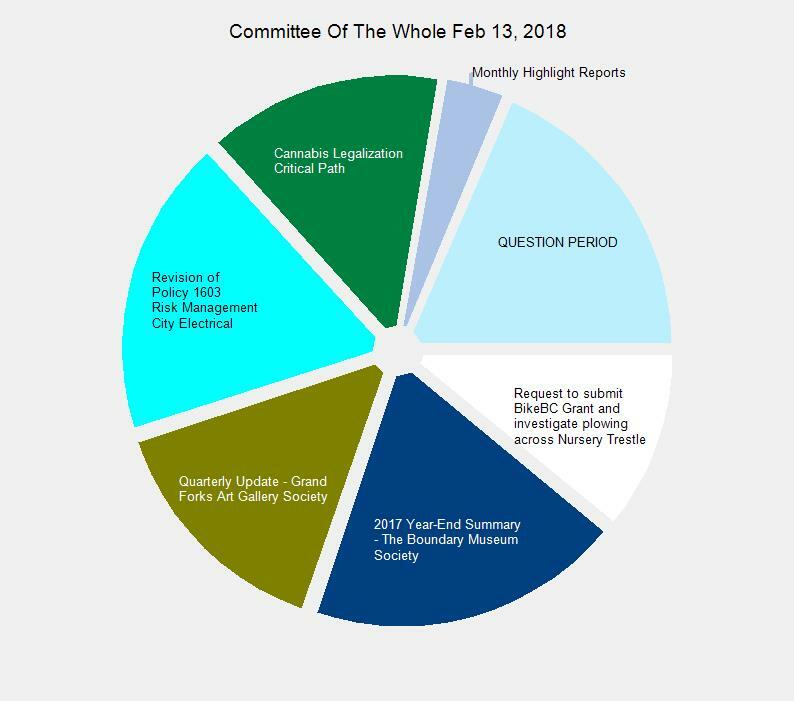 This entry was posted in City, government and tagged BC Air Access, BikeBC, Boundary Museum, Bylaw Amendment 1919- A2., cannabis, city council, electrical, gallery 2, learning garden, Nursery Trestle, OCP Bylaw, OCP Bylaw 1919-A2, Risk Management, Zoning Bylaw 2039, Zoning Bylaw Repeal 1606-R1 on February 15, 2018 by gftvboss. 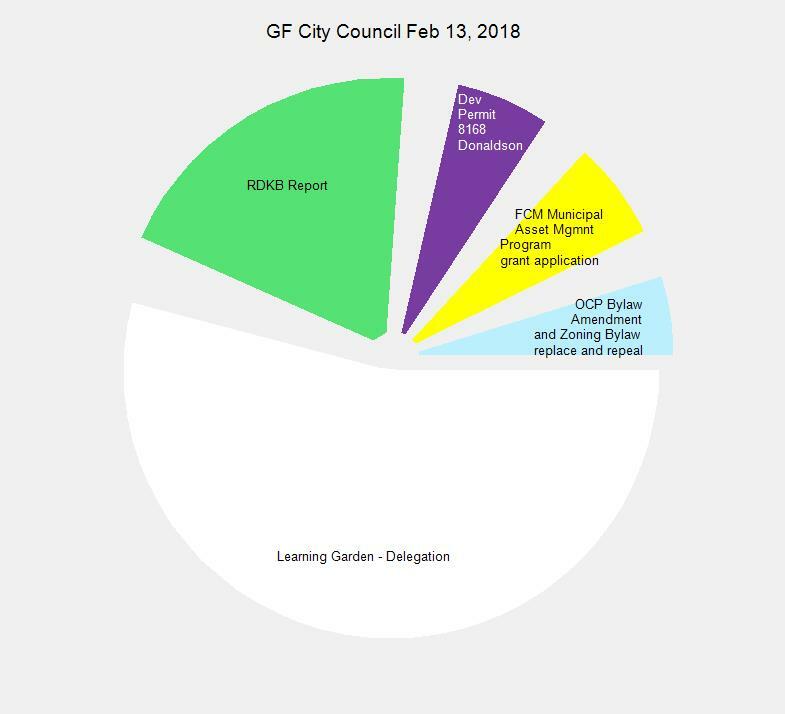 City Council had a full day Jan 30. They had Committee Of The Whole in the morning, budget sessions in the afternoon and a regular council meeting in the evening. The slices in the pie charts are actually buttons. Click on one and a new window opens. In that window you will be able to watch the meeting starting from the point where that topic begins. At the end you will see the two meetings – you can watch them from the beginning here. Or skip to where ever you want of course – most people find the pie slice buttons an easier place to start. First up is the Committee Of The Whole meeting. Next is the Regular Meeting. 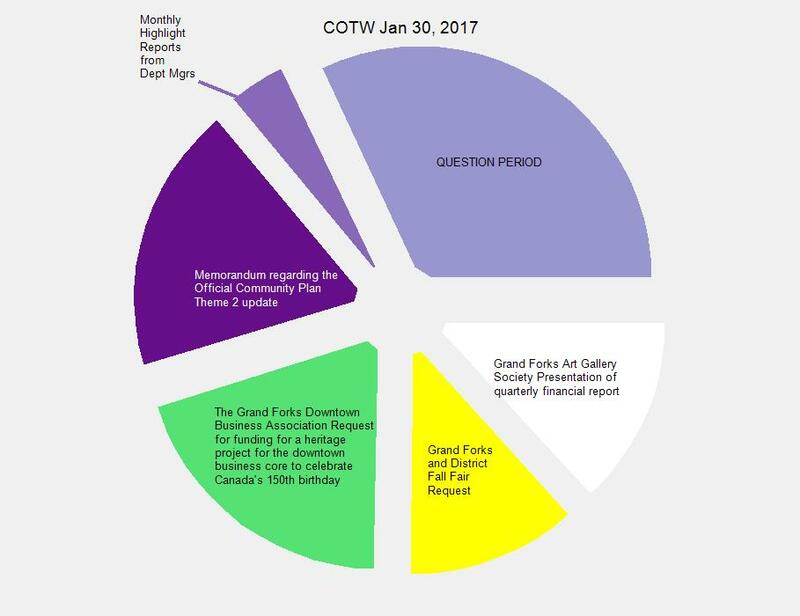 This entry was posted in City, government and tagged BCRCC, canada 150, city, council, Fall Fair, gallery 2, music in the park, snowbirds, water meters on February 1, 2017 by gftvboss. Gallery 2 was full of tales Friday the 24th of January. No rocking chairs – but many tales. 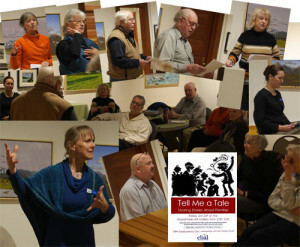 CBAL, The Columbia Basin Alliance for Literacy, put on ‘Tell Me A Tale’ (an open mic sort of event) which asked for your stories about family. Not just your stories but it asked for you to get up and share them with the public. You might say it was kind of like inviting the audience into your extended family for an hour or so. And there were tales told to the dozen and a half members of this temporary family expansion. From our new ‘sibs for an afternoon’ Lorraine, Sheila, Frank, Martin and others we got tales of childhood misadventures and personal growth experiences; reminiscing of people and times gone by – even a wedding gone off the rails. It was slated for an hour but ran another half – not unexpected in my experience. Once you get people talking about their lives they don’t really want to limit it to a small segment. It’s good to share the memories of your family’s history with the community at large – then they become part of the lore that community is woven from. And we all feel better knowing we’re not from the most dysfunctional family – there are others out there living lives a lot like ours. And they’ve got the weird relatives and they’ve made similar gaffes as us. We are them; they are us. It’s important to a healthy psychology that we all understand this at a gut level so our shared world view is the same one. The place where they look at the world like you do is someplace you can feel at home. Add just enough differences and you make it an interesting place with interesting people and remarkable events. And by telling a tale about your life you’re also pointing out that your life too is remarkable. So thanks to Sheila Dobie, CBAL, the Writer’s Guild and the Riverside Story Tellers for a heart warming event. This entry was posted in Whats Up In GF and tagged CBAL, gallery 2, stories, tales on January 25, 2014 by gftvboss.